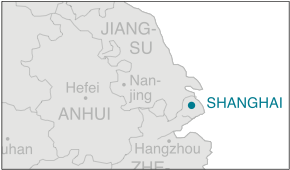 Shanghai is located at the mouth of the Yangtze River Delta, and it is one of the four direct-controlled municipalities in China. Due to its early modernization compared to the rest of the country, it has been the top financial centre of mainland China during contemporary and modern times. The first Pilot Free Trade Zone (FTZ) in mainland China was established in September 2013. Equipped with world-class infrastructures and a well-established services sector, Shanghai is an economically vibrant and popular destination for foreign direct investment. Shanghai is one of the most developed cities in China in terms of infrastructures. Shanghai has six elevated roads, including two ring roads and eighteen expressways. The two main areas, Pudong and Puxi, are linked both by bridges and underground tunnels. There are six national expressways that connect Shanghai to Beijing and surrounding regions. Shanghai is also well connected to large islands, such as the Chongming Island via the Chongqi Bridge, on the Yangtze River. The recent rise in disposable income means more and more people own cars, especially after the government banned cycling on many main roads in order to ease congestion. The numberof cars in the city is limited to the amount of number plates available at public auction. Shanghai has four major railway stations: Shanghai Railway Station, Shanghai South Railway Station, Shanghai West Railway Station, and Shanghai Hongqiao Railway Station. China's maglev railway came into operation in 2007. The one is Shanghai connects Pudong International Airport with the Longyang Road metro station (also in Pudong) in less than eight minutes and reaches a maximum speed of 433 kilometers per hour. Two major railway lines intersect in the city: the Jinghu railway (connecting Shanghai with Beijing) and the Hu Hang railway (running to Hangzhou). Currently high speed trains run from Shanghai to Beijing in approximately 5 hours and to Hangzhou and Suzhou in 45 minutes and 25 minutes respectively. Shanghai is famous for its massive metro system, which transports an average 7 million people per day. As of 2013, there are eleven metro lines (excluding the Shanghai Maglev Train) and over 439 kilometers of track in operation, making it the longest network in the world. Shanghai's rapid transit system, the Shanghai Metro, incorporates both subway and light railway lines and extends to every core urban district as well as neighboring suburban districts. One of these lines connects the across the city to both the travel hubs of Hongqiao airport and Pudong International Airport. Shanghai is one of the leading air transport gateways in Asia. The city has two commercial airports: Shanghai Hongqiao International Airport and Shanghai Pudong International Airport. The latter is the fourth busiest airport in China following Beijing Capital, Hong Kong Chek Lap Kok and Guangzhou Baiyun. Pudong Airport is the main international airport, while Hongqiao Airport mainly operates domestic flights with limited short-haul international flights. In 2010 Shanghai Pudong International Airport and Shanghai Hongqiao International Airport served 40.4 million and 31.3 million passengers respectively, and handled 3.22 million tons and 480 thousand tons of cargo respectively. There are also further plans to add a third passenger terminal in Pudong International Airport in 2015, increasing its annual capacity from 60million passengers to 80 million. It only took Shanghai five years to double its cargo handling capacity from 200 to 400 million tons and in terms of container handling; it is currently ranked second after Singapore. And due to its strategic location, transportation via waterways in Shanghai is highly accessible. The city is located on the estuary of Yangtze River and midpoint of China's north-south coastline. Currently, it stands as China's largest port. The increasing quantity of goods and passengers moved in and out has promoted the development of economy and tourism of Shanghai and its adjacent cities. Shanghai is one of China's largest and most developed cities. With only 0.1 percent of the land area of the country, it supplies over 12 percent of municipal revenue and handles more than a quarter of total trade passing through China’s ports. In 2012, Shanghai’s GDP reached RMB2.01 trillion and per capita GDP was RMB 87,324. The city aims to develop itself into a financial center rivaling Hong Kong and London. The Shanghai Stock Exchange was founded in 1990 and is the largest stock market in mainland China. There are three main categories of securities listed on the Shanghai Stock Exchange: stocks, bonds and funds. Bonds traded on the exchange include treasury bonds, corporate bonds and convertible corporate bonds. The retail sector has experienced significant booms in the past few decades as it is one of the first few sectors to open to foreign investment after China's WTO accession. More than half of the world’s top 50 retailers have entered the market. Most of these retailers have stores in Beijing, Shanghai and other coastal cities. Total revenue for Shanghai’s retail industry reached RMB 738.7 billion in 2012, with an annual growth rate of 9 percent. Many retailers use Shanghai as an entry point and gateway before moving into other mainland retail markets. Shanghai’s mature retail environment and comprehensive municipal infrastructure make it an ideal place to launch a retail enterprise or introduce a brand to China. However traditional retail is facing increasing pressure from e-commerce platforms, with many department stores making adjustments and repositioning in the market. In recent years, the Chinese government has stepped up its efforts to move China’s economy up the value chain from a low cost production base, to an innovation-oriented economy and has taken various measures to encourage foreign investors to set up R&D facilities in China, including tax incentives. As a conclusion, Shanghai currently offers some of the most favorable treatments for foreign investment in China. The Lujiazui Finance and Trade Zone is the symbol and core of Shanghai's Pudong New Area. Six national markets are located in Lujiazui, the Shanghai Stock Exchange, Shanghai Securities Exchange, Shanghai Property Rights Exchange, Shanghai Real Estate Market, Shanghai Human Resource Market and the Shanghai Diamond Exchange. There are almost 500 foreign and domestic financial institutions in the zone. The Shanghai Zhangjiang High-Tech Park was established in July of 1992 as a national-level park designated for the development of innovative and sophisticated technology. There are three distinct areas in the High-Tech Park devoted to telecommunication & information, bio-pharmaceutical and incubation projects. Various national-level centers, including the State Bio-Tech and Pharmaceutical Center (Shanghai), the National Information Technology Industry Center and the National Science and Technology Innovation Center, as well as 300 other international and domestic enterprises are located in the Park. Established in the 1990s with a total area of 65.2 hectares, the zone is situated in an excellent central location west of Shanghai. The Shanghai Hongqiao Economic and Technological Development Zone is merely 6.5km from the Hongqiao Airport and within half an hour’s drive to the Shanghai Port. The Hongqiao zone is the sole commercial and trade development zone in China to integrate exhibition space, office and residential services, catering and shopping. There are also several plots allocated for foreign consulates in Shanghai to build their respective premises. Another 300,000 square meters will be added to the zone to allow it to accommodate the more exhibitions, commercial space, hotels, restaurants and other facilities. This area also boasts major investors such as Chrysler, 3M, Nokia, Ericsson, LG and Sheraton. Situated in Pudong, the WFTZ covers an area of ten square kilometers, making it the largest free trade zone in China. The number of foreign enterprises set up in this zone account for a third of Shanghai’s total, including 135 Fortune 500 companies. In terms of GDP, import/export value and investment, it accounts for over 60 percent of the total investment of China’s fifteen FTZs. Over the last decade, the company has devoted itself to land development, real estate management, trade and bonded storage in the free trade zone. This zone is one of the first state-level economic and technological development areas to focus on introducing advanced technology from abroad and developing high and new technologies. More than twenty universities and colleges and over 120 R&D institutions are located nearby. The zone also houses more than 30 of the world’s top 500 companies including 3M, DuPont and Lucent. The pillar industries include microelectronics, photo-electronics, computer and software, new materials, spaceflight and aviation.